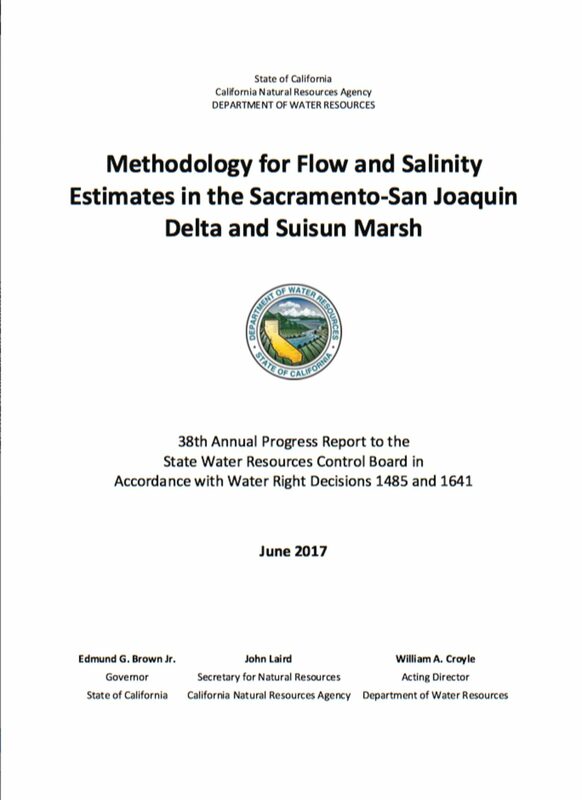 This is the 38th annual progress report of the California Department of Water Resources’ San Francisco Bay-Delta Evaluation Program, which is carried out by the Delta Modeling Section. This report is submitted annually by the section to the State Water Resources Control Board pursuant to its Water Right Decision D-1485, Term 9, which is still active pursuant to its Water Right Decision D-1641, Term 8. This report documents progress in the development and enhancement of computer models for the Delta Modeling Section of the Bay-Delta Office. It also reports the latest findings of studies conducted as part of the program. This report was compiled under the direction of Tara Smith, Program Manager for the Bay-Delta Evaluation Program.